Every country star worth their salt longs to play the Opry stags. That’s thanks in large part to Uncle Dave Macon, who helped put the Opry on the map. Despite the late start, he quickly became a well-known musician, recording sides for a variety of labels. But it was his showmanship that made him a legend, coupled with a good dose of humor and a breathtaking musical prowess. He was a huge hit on the Vaudeville circuit. Nicknamed the Dixie Dewdrop, Macon’s live performance were a mix of lyrical cleverness, creative banjo picking, and hillbilly storytelling. His success touring the south earned him a slot on the Grand Ole Opry in 1925. Already in his fifties when he made his Opry debut, Uncle Dave Macon preserved the tradition of the music that shaped him, but framed its presentation with comic humility. It was the template that countless future Opry legends would follow. His ability to perform stunts while picking the banjo predated Garth Brooks’ stadium-filling antics by 65 years, and his pure skill went on to influence future Opry stars Grandpa Jones and Stringbean. He even appeared on film, in a Roy Acuff vehicle, singing “Take Me Back to That Old Carolina Home” with his son, Dorris. 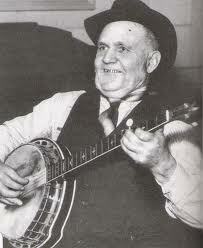 He performed into his early eighties, making Opry appearances until three weeks before his death in 1952. Fourteen years later, he was inducted into the Country Music Hall of Fame. His legacy lives on in the annual tradition of Uncle Dave Macon Days, an annual music festival held every year in his home of Tennessee.